Personal service great people comfortable waiting area. Love our new Jeep!!!.. J.P and Craig were great!! The best price first purchase was hassle free and I recommend to anyone looking to buy a car!!! Sales Consultant John Bogdan was very helpful and understanding to what we was looking for. Oil changes and tire rotation. Service is quick an efficient. Prices are fair. No recommendations for unnecessary services. Love how they do business here. Refreshing to see a dealership so focused on customer service. The service and professionalism at each point of contact was beyond outstanding. The survey I was sent allowed rating on a scale of 1 to 5. I would have given a 6 in each category if I could have. Professional, attentive-to-detail, courteous, communicative. Rock stars. JP did an excellent job! Hands down the best experience buying a new vehicle. We have previously purchased 17 vehicles through 8 different dealerships. 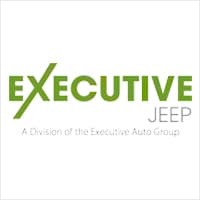 Executive Jeep/Nissan in North Haven was by far the most customer oriented, knowledgeable, and professional. Sales consultant John Bogdan is a true professional and gentlemen. He was a major factor in our decision to utilize this dealership. Christopher Arena, who handled the business aspect of the process, was incredibly helpful and provided sound guidance. A sincere and non-hyped thank you.